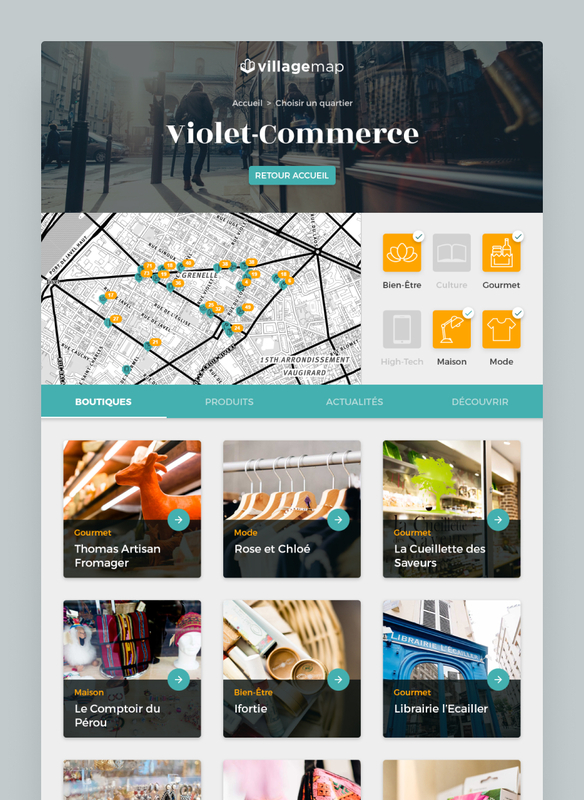 Paris.Shopping (formerly VillageMap) re-connects people with local shops, by emphasizing neighbourhoods, their stories and their quality products. Thanks to an official partnership with the city of Paris, Paris.Shopping had the opportunity to integrate itself as an app into JCDecaux's new Livetouch screens, implemented in bus shelters in Paris. 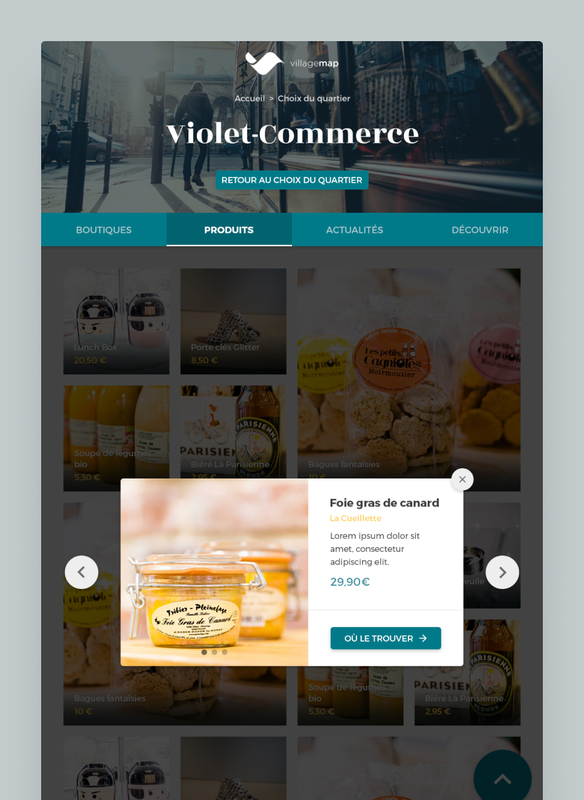 Paris.Shopping called on my expertise to adapt the user experience of their website for JCDecaux Livetouch screens. The difficulty was to take into consideration all the different constraints of this technology (all tactile, large screen size, very varied audience) while preserving the ParisShopping DNA.